A few days ahead of its trailer, Thor: The Dark World releases a new poster with most of the main characters in attendance. In the top most is the first official look on the Dark Elf, silhouette it may be. It also features Chris Hemsworth as Thor, Natalie Portman as Jane Foster, Tom Hiddleston as Loki and Anthony Hopkins as Odin, among a few others. With Alan Taylor directing the sequel, expect a few changes in the tone, story-telling and style that might affect the continuity of the movie. Will this sequel live up to the fame that it's Kenneth Branagh-directed predecessor had? We'll know in the next few months to come. Checkout this new poster of Thor: The Dark. Thor: The Dark World (formerly titled Thor 2) is an upcoming American superhero film featuring the Marvel Comics character Thor, produced by Marvel Studios and distributed by Walt Disney Pictures. It is intended to be the sequel to 2011's Thor and the eighth installment in the Marvel Cinematic Universe. Alan Taylor is set to direct a screenplay by Don Payne and Robert Rodat with Chris Hemsworth, Natalie Portman, Tom Hiddleston, Anthony Hopkins, Stellan Skarsgård, Idris Elba and Rene Russo reprising their roles from the first film. 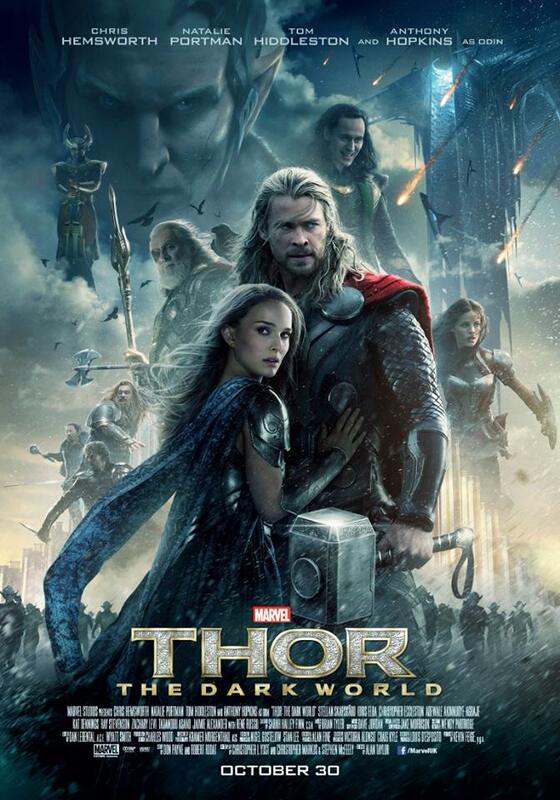 Thor: The Dark World is scheduled for a November 8, 2013 release.